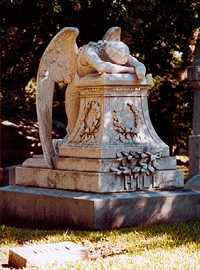 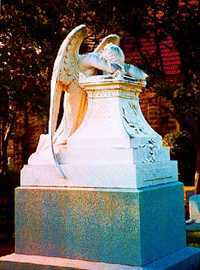 Grief, Weeping Angel Statue in Grove Hill Cemetery, Dallas, Texas. 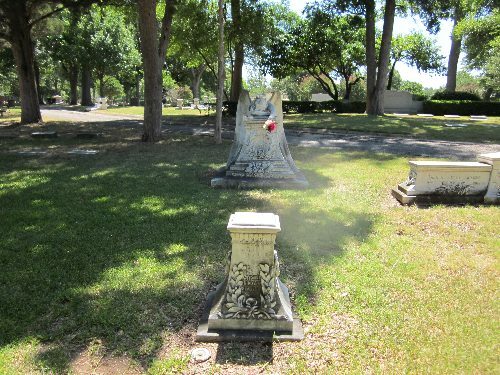 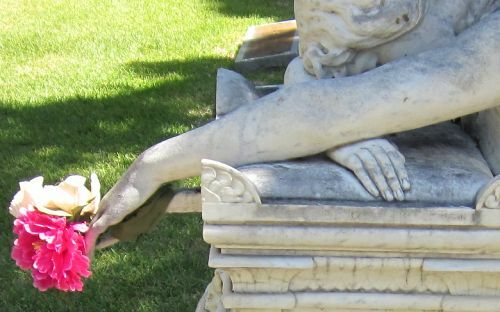 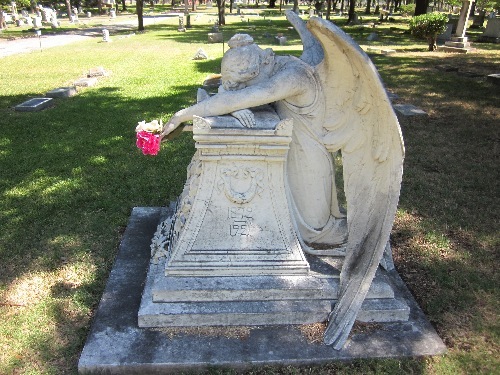 Photos of a fourth �Weeping Angel� in Texas have been provided by Leigh Lunsford. 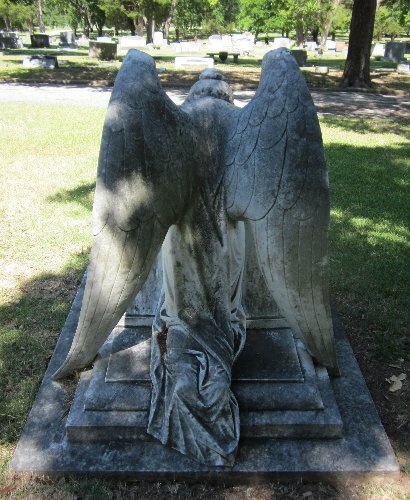 This angel is different from the first two in that the wrist (broken on the sister statues in Houston and Scottsville) has a support attached. 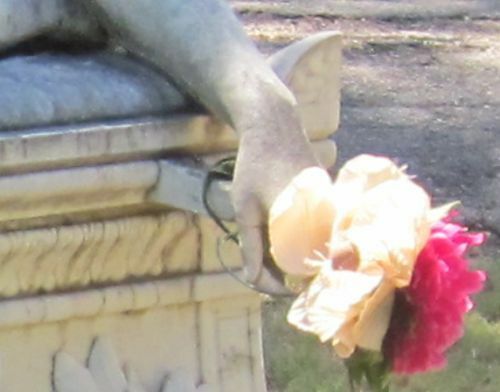 showing the vandalism to both left arms.